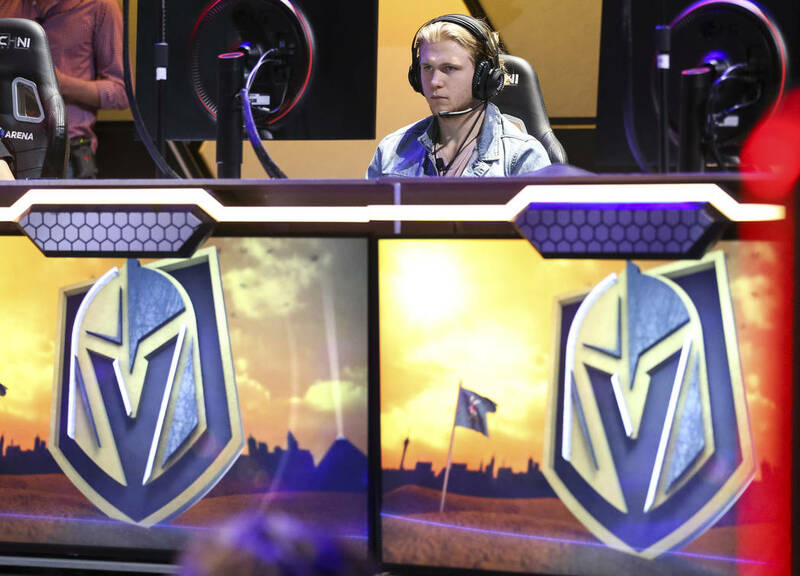 Golden Knights players William Karlsson, Malcolm Subban and Alex Tuch played the popular video game Fortnite ‘Battle Royale’ in front of fans at the HyperX Esports Arena at the Luxor on Tuesday. Chants of “Suuub!” filled the arena as Malcolm Subban triumphantly rose to his feet. He had been knocked down — but not out. All that was left to do was to stage a heroic comeback surrounded by his teammates, only this time the Golden Knights backup goaltender’s pads and stick were absent. In their place: A chicken suit and shotgun. 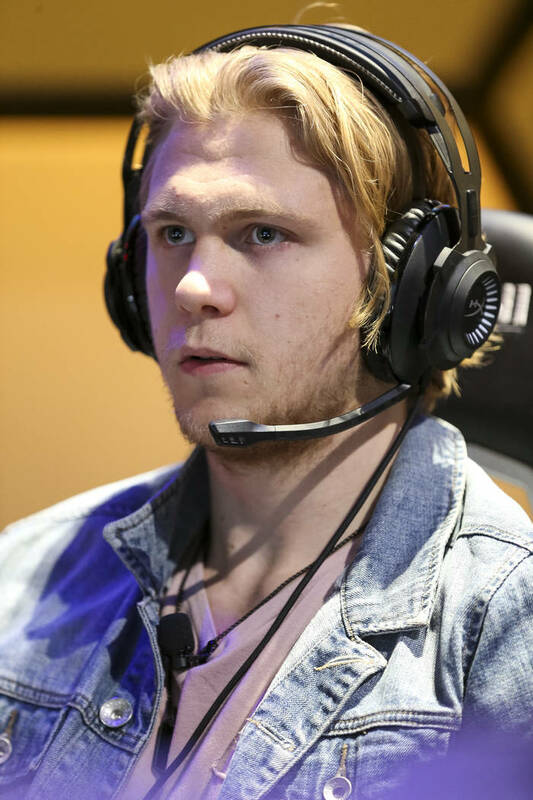 Subban and teammates William Karlsson and Alex Tuch faced off in a different competition Tuesday when they visited the HyperX Esports Arena at the Luxor to play the massively popular game Fortnite “Battle Royale” with fans for about an hour. 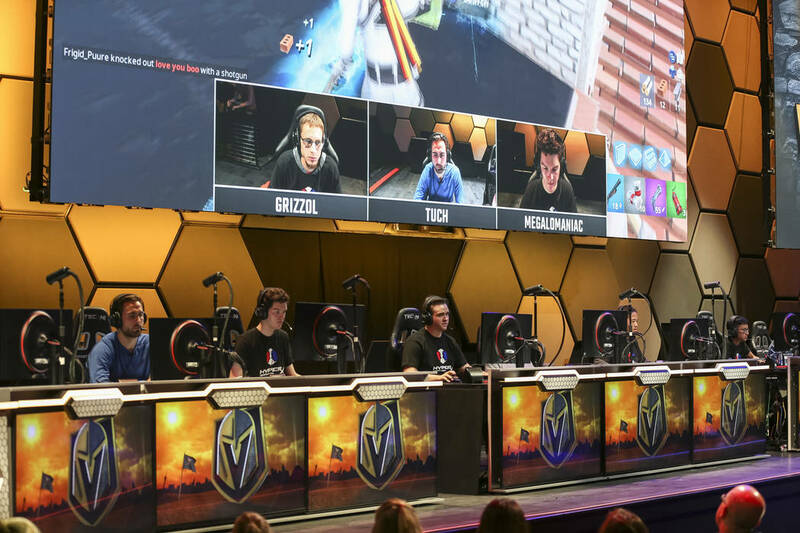 Each Knight was paired with two advanced Fortnite gamers. 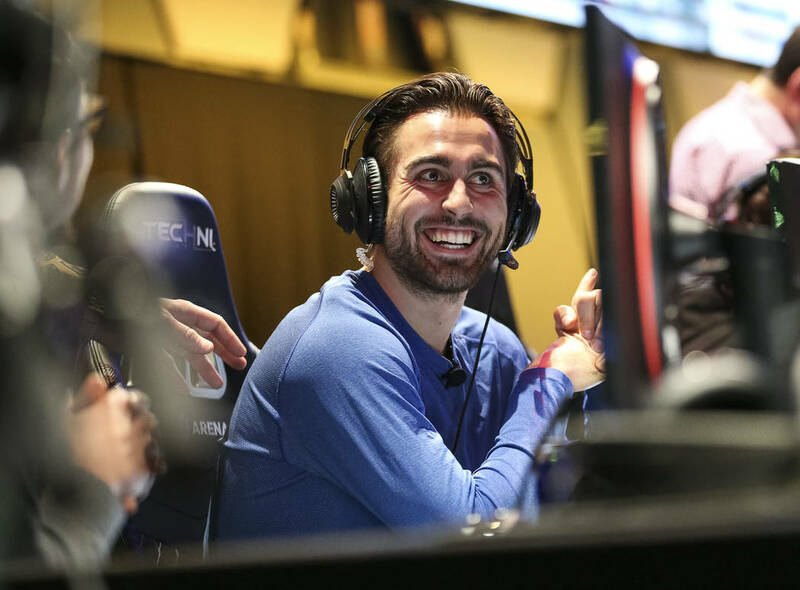 The online video game pits individuals or teams in a fight to be the last one standing out of a group of up to 100 participants. It features a multitude of customizable weapons and outfits for players to choose, one reason for the game’s wide appeal. Fortnite is also well known for its dances and celebrations. 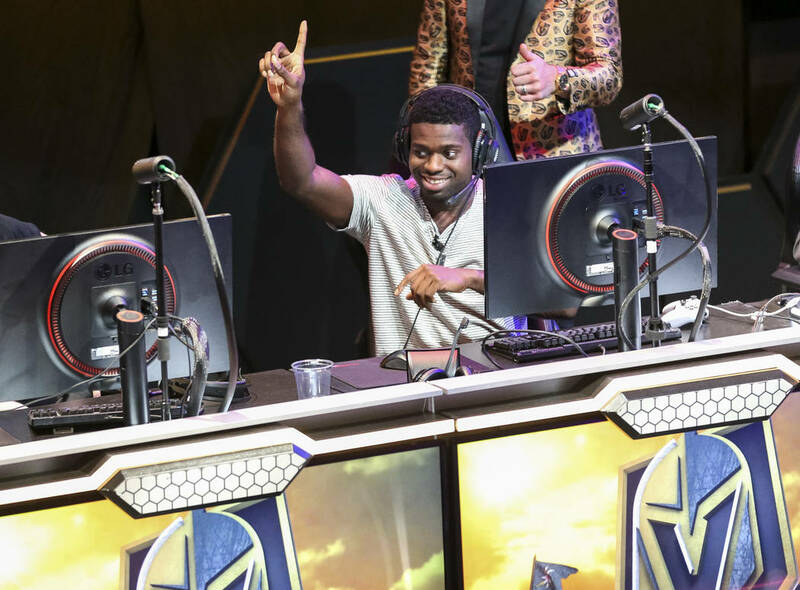 When his team earned a “Victory Royale” as the last ones standing, Subban was happy to demonstrate one by flailing his arms and legs wildly for the crowd. Subban also did not hesitate to talk trash during the game with Tuch, even though the forward’s team also recorded a victory during the session. “Tuch is trash,” Subban said after watching Tuch’s character die. “Only three words in his vocabulary,” Tuch retorted. 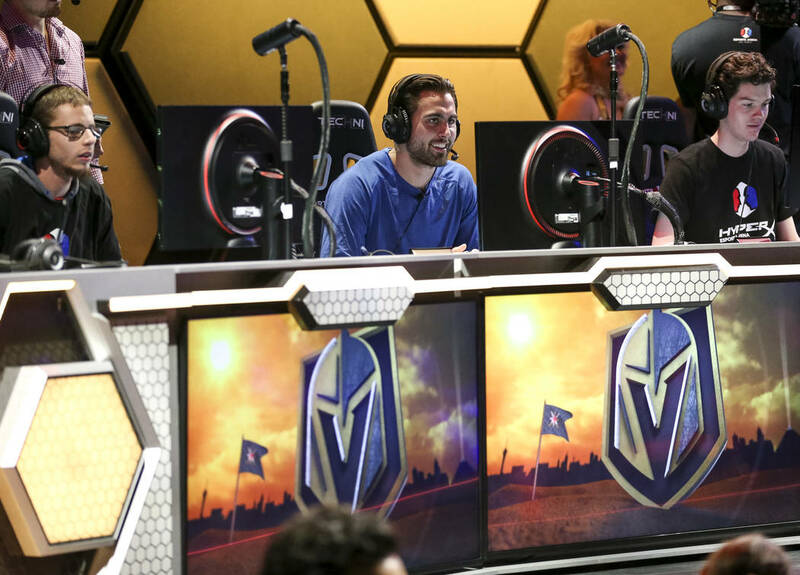 All three Knights admitted they weren’t as good as their teammates, some of whom are working their way up the professional ranks. Subban said he just plays the game “a decent amount” and has played a lot less during the season. That’s probably music to Knights coach Gerard Gallant’s ears. 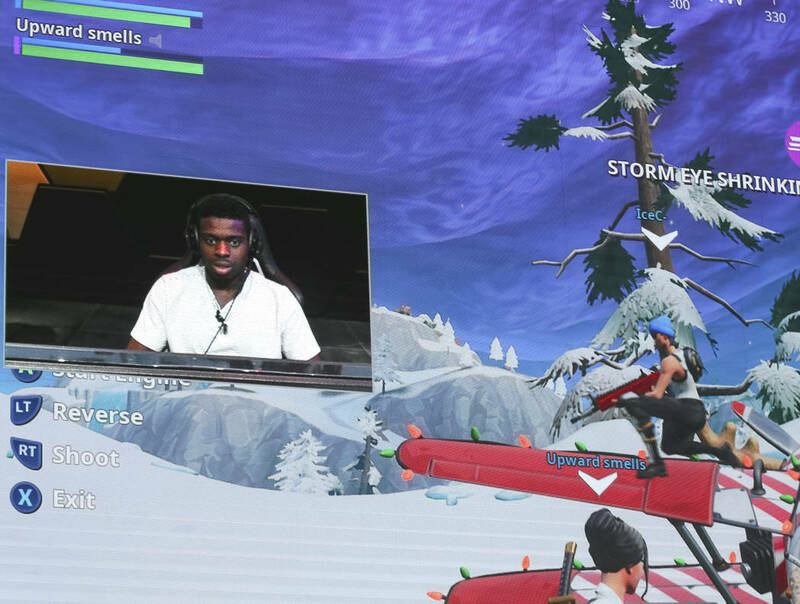 Fortnite’s usage among athletes has come under scrutiny as its popularity soars. The Vancouver Canucks banned players from playing the game on the road because they were afraid logging too many hours online was affecting their performance. The Knights have no such ban, and Gallant admitted earlier this season he knew little about the game. “I’m not going to ban nothing,” Gallant said before the team’s first road trip in October. Big fans of the game like Karlsson, who dressed as a Fortnite character for Halloween, likely appreciated Gallant’s restraint. 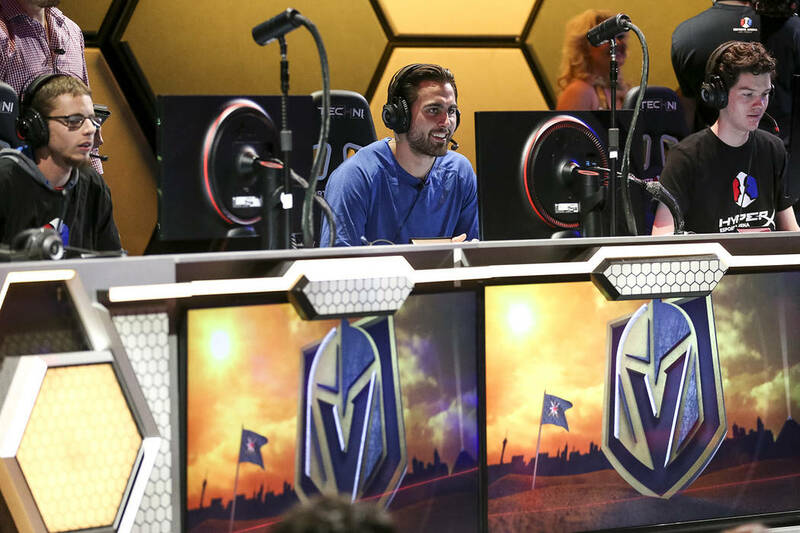 And he and two of his teammates got to enjoy the game guilt-free during their off day in front of fans as Knights television broadcasters Dave Goucher and Shane Hnidy called the action. Well, Karlsson did admit to one crime during game play. “I just killed a guy,” he announced. Players can choose to compete alone or in groups of up to four. The game starts with them looking for weapons, armor and other items that can help them in battles with opponents before combat begins. As the game progresses and the number of players dwindles, the battlefield shrinks to encourage more action. The game also features cartoonish graphics and an ability to create social connections online. “Battle Royale” is also free to play, though players can make in-game purchases to customize their appearance. 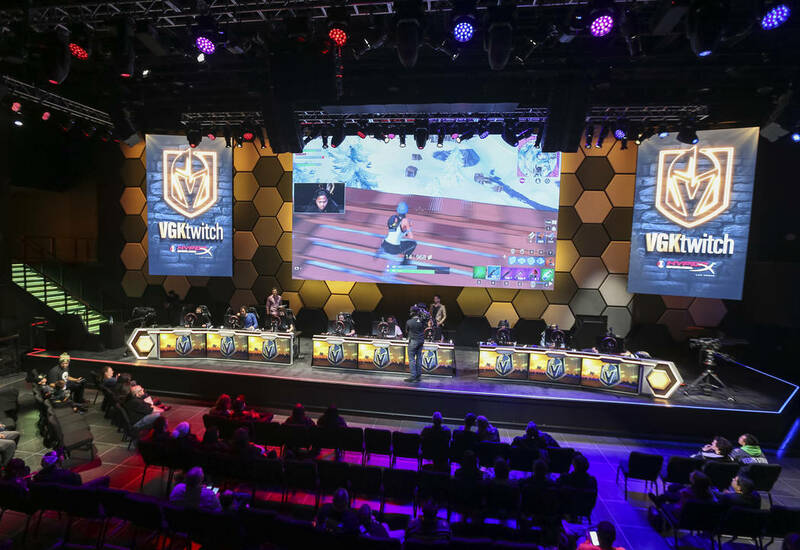 Its developer and publisher, Epic games, said in late November the game has more than 200 million registered users.